Jill Dubien worked her fun food magic and turned some summer fruit into a fun fruit peacock. 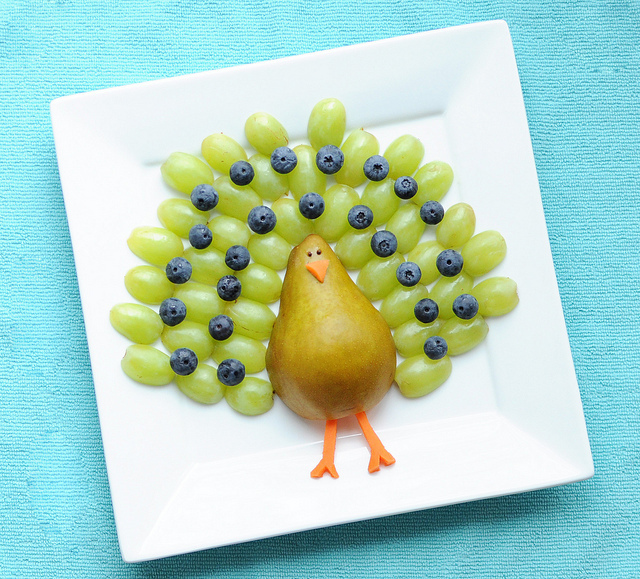 We have made fruit turkeys before, for Thanksgiving, but it is hard to find any other season that a fits a turkey. A peacock can be enjoyed any time of the year. You can check out the colorful fruit peacock over at Canadian Family and you can check out more of Jills fun food for kids over at Meet the Dubiens. My kids would love this so very cute! Thanks for sharing a great idea! Have a fantastic week! Thankyou for sharing such a fabulous foodie idea. Too cute to eat. Although mine would eat that in a flash. I just found you on Pinterest so you have a new follower thank you.